India’s brainpower has been proved immense, the Technological advance and innovation our country has achieved stand proof for this. The total built up Area is 35,000sq ft . Our shop floor is of 23,000 sq.ft with 500KVA sanctioned Power . 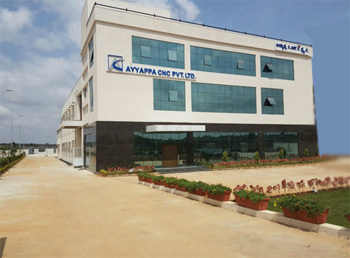 AYYAPPA CNC PVT. LTD. offers a number of career opportunities in Managerial, Accounts , Production, Engineering, Administration and more.